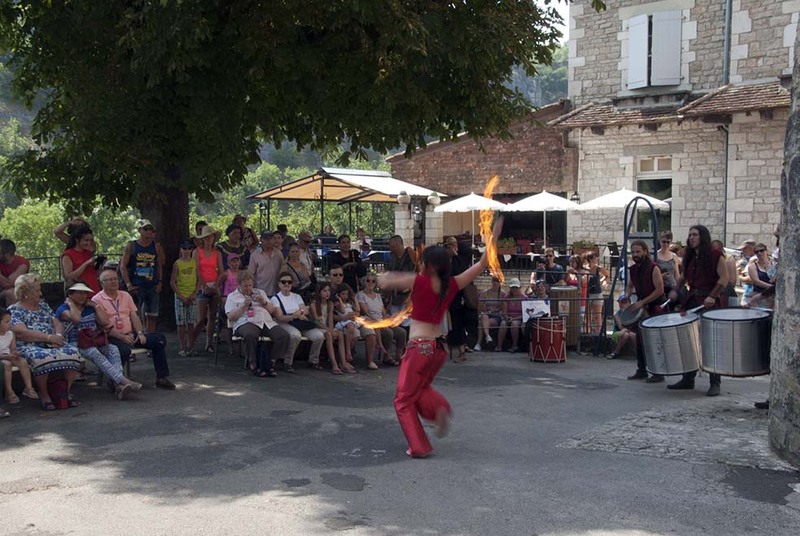 Travel guide to Rocamadour. Looking from a distance rather like a bad architectural pile-up in imminent danger of collapse, the lovely village of Rocamadour in the department of Lot rises high above the Alzou canyon, a tributary of the Dordogne river. 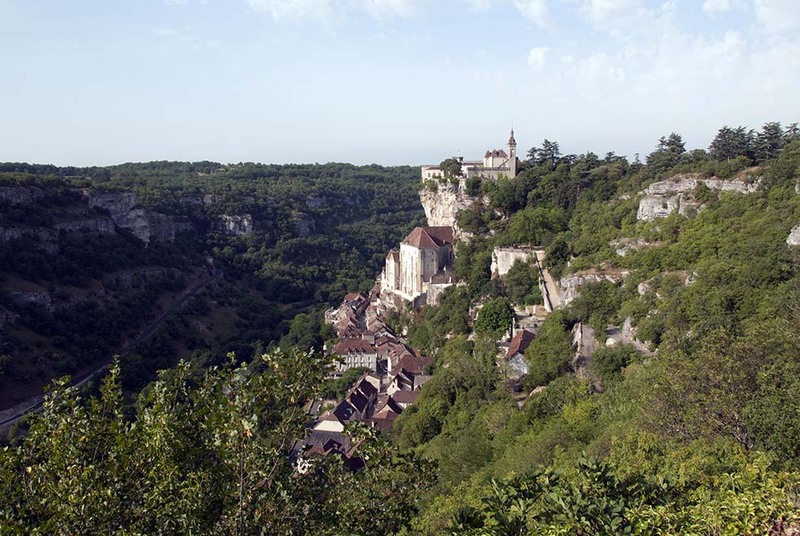 The best view of Rocamadour is from the roadside just below L’Hospitalet, and it will come as something of a shock, a tiny village with a worldwide reputation built into a cliffside in what seems like a perpetually perilous state. 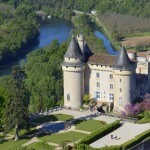 In the former province of Quercy, Rocamadour attracts visitors for a variety of reasons, but its multi-faceted history, like so many sites that rest on miracles, is founded on fabulous traditions that simply don’t withstand scrutiny. Be that as it may, this one-street settlement, and its churches stacked on churches, remains one of the most popular tourist destinations in France. 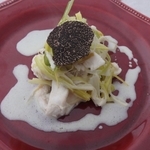 It has been a major pilgrimage site since the Middle Ages, and is recognised as one of the Grand Sites of the Midi-Pyrénées. 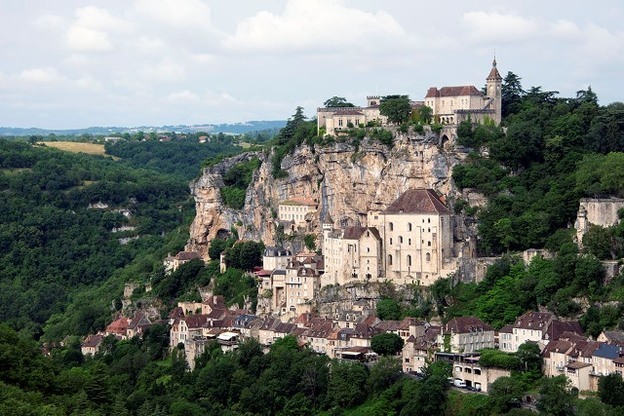 According to legend, Rocamadour is named after the founder of the ancient sanctuary, Saint Amator, identified with the Biblical Zacheus, the tax collector of Jericho, and the husband of St Veronica, who wiped Jesus’ face on the way to Calvary. The untrustworthiness of this and other legends has prompted recent authors to suggest that Amadour was an unknown hermit or possibly St Amator, Bishop of Auxerre, but this is no more than hypothesis, without historical basis. 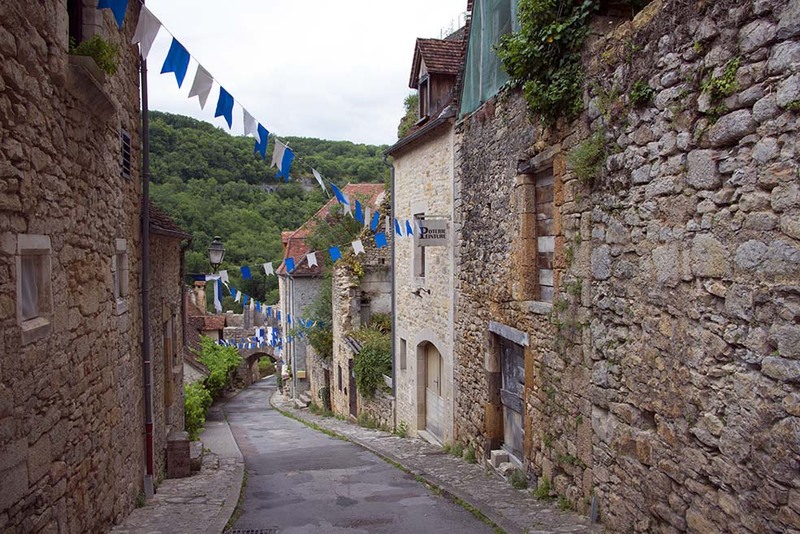 Built on the site of a shrine to a Madonna, Rocamadour became famous for its miracles (more than 120 in all), and soon became a stop on the pilgrimage path to Santiago de Compostela, and, as such, has earned UNESCO World Heritage status. Its ‘Golden Era’ for pilgrimage lasted a little over 100 years, from 1193 until 1317, but today more than a million visitors each year journey to the site. 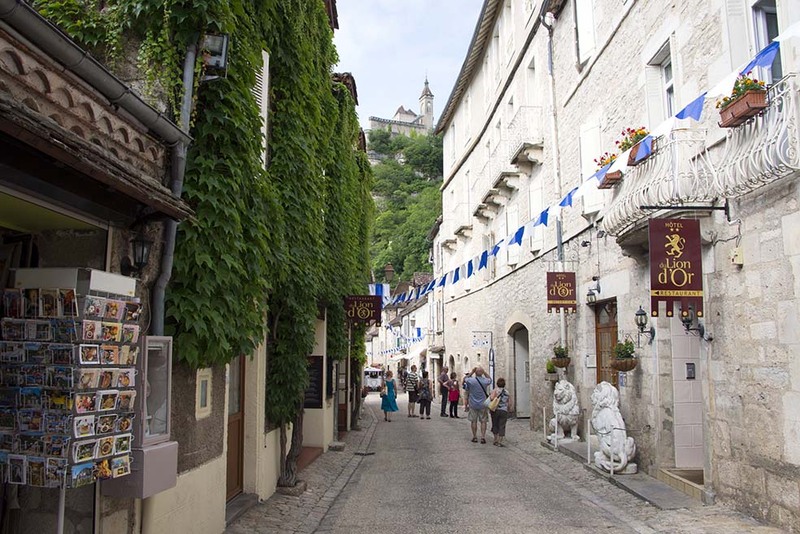 Essentially, Rocamadour is a village tiered on three levels at the base of which is a single paved and pedestrianised street – Rue de la Couronnerie – lined with medieval houses and accessed by the Porte du Figuier at one end and the Porte Basse at the other. In between is a delightful mix of shops, restaurants, cafés, hotels and sundry touristic delights that make for a lazy morning followed, ideally, by an equally lazy lunch. The next tier up is occupied by the sanctuaries – the Cité Réligieuse – the two levels linked by the so-called Grand Escalier, a series of 216 steps, which pilgrims would ascend on their knees. Thankfully, there is a lift between these two levels for those of less devout commitment. The sanctuaries include the Chapelle Notre Dame – home to the wood-carved figurine of the Black Madonna – and the basilica Saint-Sauveur; the Saint-Michel chapel; the Palace of the Bishops (Palais des Eveques) and three chapels. It’s all a bit confusing; interesting but confusing, and of greatest interest to people of religion. The final, highest level, can be reached by a rising pathway and steps – the Chemin de Croix – but these days there is a modern funicular that takes the strain, at a price. At the top, bordering the large car park, you’ll find the remnants of the ramparts of a 14th-century fort build to protect the rocky spur. 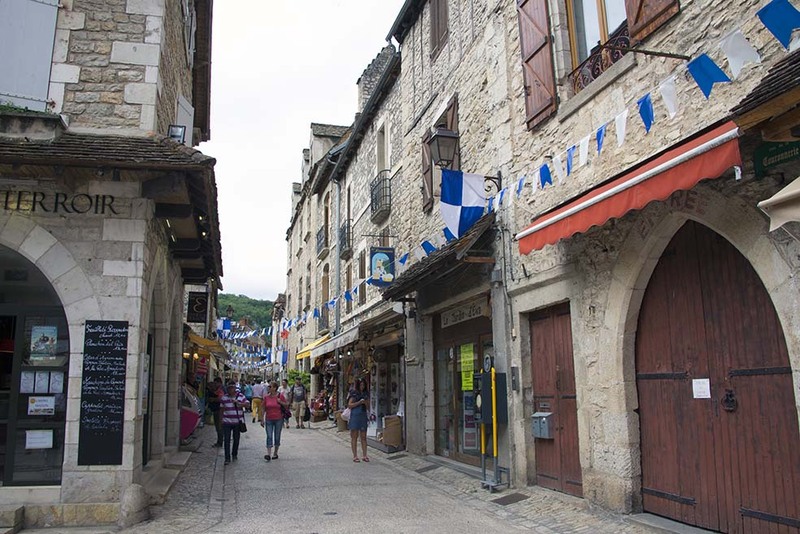 Between the main gateways, Rocamadour is wholly pedestrianised, so for a leisurely approach follow the road down from L’Hospitalet as far as the Porte du Figuier. Swing left, wary of upcoming trains touristiques, and just on reaching the valley bottom, bear left along a rough track to park in a nearby woodland, which provides excellent shade on a hot day. 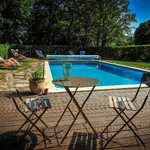 From there a path leads across a flower meadow to the station for the tourist trains which will whisk you up into the village, or you can continue past them and onto a rising, stepped pathway that pops you out right beside the Porte du Figuier. 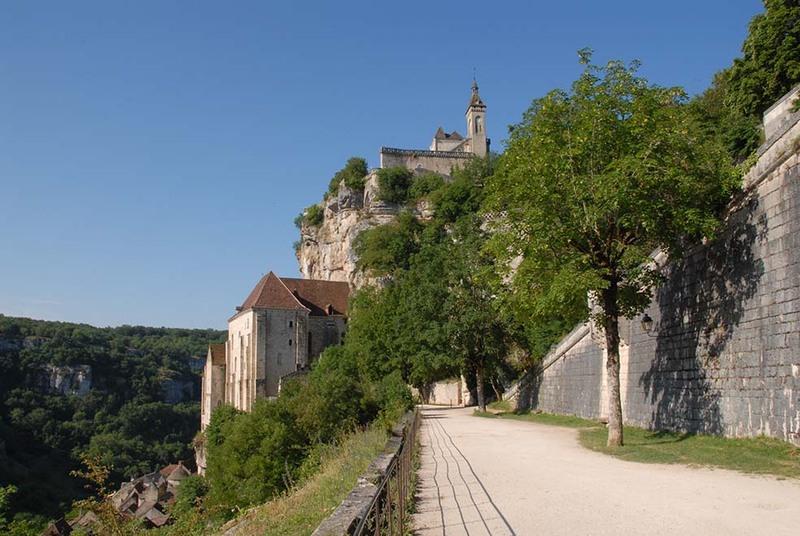 Rocamadour holds mystical appeal; so many have heard of it, and it sits high on visitors’ lists, as well it should. Those of a religious persuasion will find the whole ensemble quite enthralling, but for all visitors, the simple village on which the whole pile rests is a worthy destination in itself.